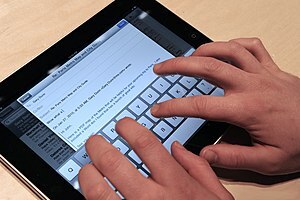 The iPad has officially found its way into the offices of Proskauer, a New York law firm. Malcolm Collingwood, Senior Technology Strategist at Proskauer, said attorneys will be required to use GoodReader ($4.99) to annotate documents and DocsToGo Premium($16.99) to edit documents. Cloud apps are not used by the firm’s attorneys, and it is too early to decide whether the firm will use Apple iCloud when it is released later this year. Read entire Walking Office interview here. 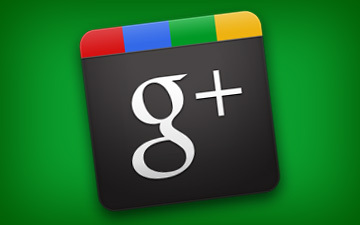 Read on for Mashable‘s roundup of all resources Google+. Viewers can register anytime before the program and download a calendar reminder. A certificate of completion will be offered for this webinar. Enrolled agents receive one CPE credit, and other tax professionals may receive credit if the broadcast meets their organization’s or state’s CPE requirements. The webinar will be available on demand on the IRS Video Portal one month after the live program airs. Available only to someone who files a joint return, innocent spouse relief is designed to help a taxpayer who did not know and did not have reason to know that his or her spouse understated or underpaid an income tax liability. Publication 971, Innocent Spouse Relief, has more information about the program. Read full IRS article here. Office 365 offers Microsoft Office collaboration and productivity tools delivered through the cloud, including anywhere access to email, web conferencing, documents, and calendars. Business-class security. View, share and edit your Microsoft Office documents on the web with Microsoft Office Web Apps. Using virtually any device connected to the internet*, view your Microsoft Word, Microsoft Excel, Microsoft PowerPoint, and Microsoft OneNote documents online and make basic edits on the go. Microsoft Office 365 for professionals and small businesses (Plan P) is a $6 per user/per month subscription service that lets you access your email, important documents, contacts, and calendar from virtually anywhere on almost any device*. This plan is ideal for organizations with fewer than 25 employees that do not have IT staff or expertise. Consultants with several computer security firms say that Wednesday’s release of Mac OS X Lion makes it “king of the jungle” in terms of mainstream operating system security, surging ahead of rivals such as Windows 7 and Ubuntu Linux with very signifiant security overhauls throughout the OS, reports The Register, including a robust implementation of ALSR, sandboxing of vulnerable processes, and locking down web interactions. Want to protect yourself against this vulnerability? Passware says the security risk is easy to overcome by simply turning off the computer instead of putting it to sleep, and disabling the “Automatic Login” setting. This way, passwords will not be present in memory and cannot be recovered. Do you need to print a document from your iPad? Are you unable to locate your printer? Thistroubleshooting assistant will help you setup your printer and resolve the most common printing issues.